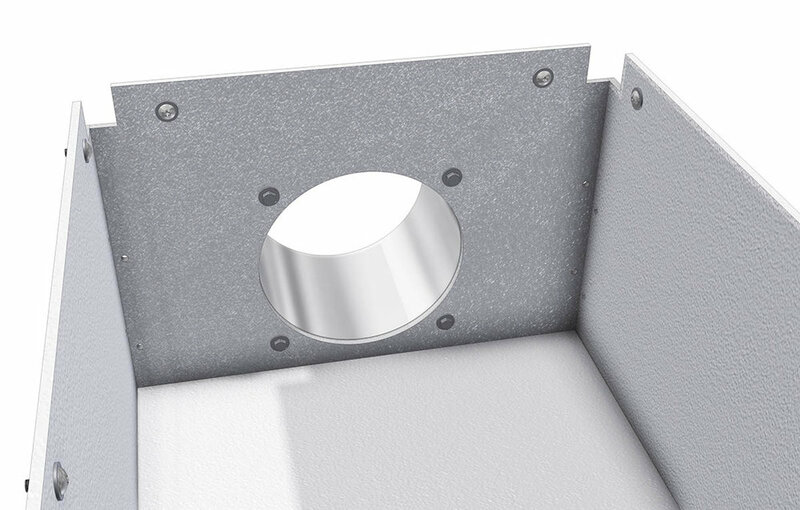 In this installment, I will show you how to install this 8” collar on your downdraft enclosure. You can purchase these collars at most home centers. Just make sure it’s 8” in diameter and at least 6” long. Before you can install the collar, you need to cut about 3/4” off what will be the bottom of the collar. 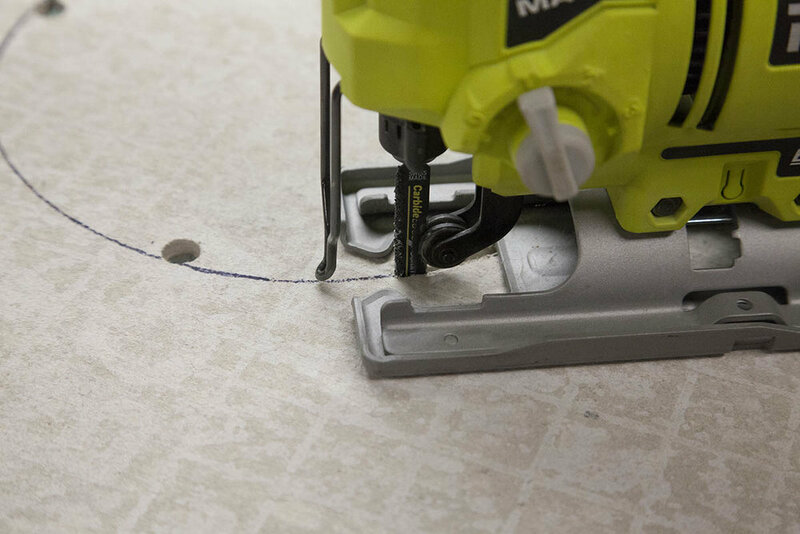 Pick a point between two of the mounting holes and place a mark 3/4” from the edge and mark a line as shown here. Use some snips to cut the section. It does not have to be perfect. This is more than enough to give us the clearance we need. Remove the rear downdraft panel. 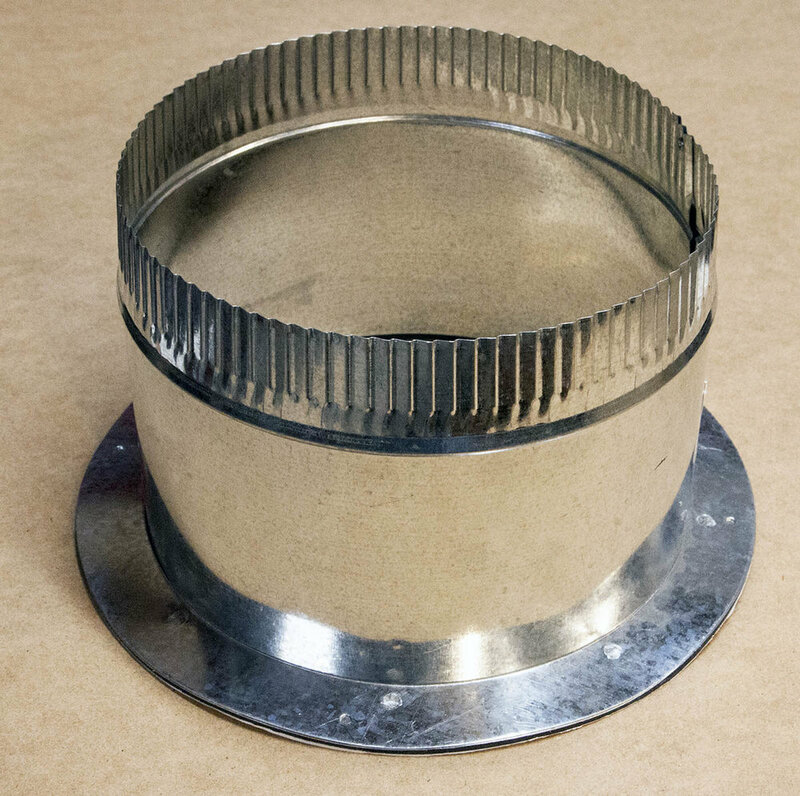 Place the collar on the panel with the cut flat portion flush with the bottom and centered as shown here. Note that this should be the outside of the panel. Use a pencil and mark the inside of the collar as shown here. 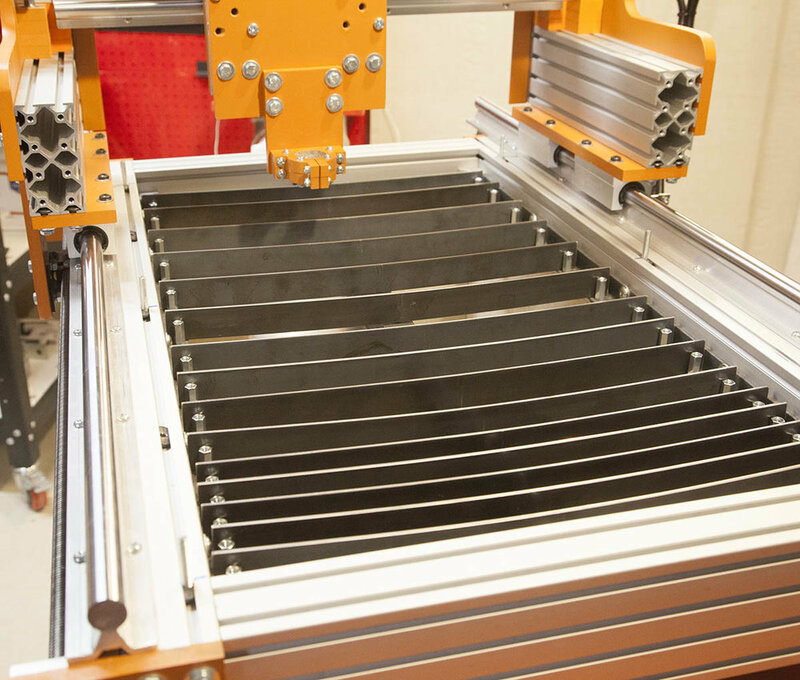 Use a punch or other sharp object to mark the mounting holes as shown here. Place a pencil mark on the points you made with the punch as shown here. 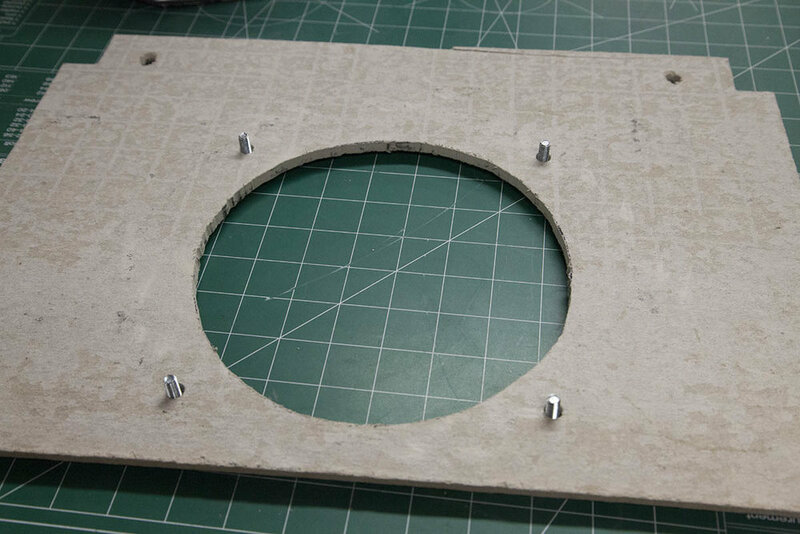 Use a 5/16” masonry drill bit to make the four mounting holes as shown here. Use a 3/8” masonry drill bit to make the four hole shown here. These are not critical. They are only pilot holes so you can insert a jigsaw blade. Use a carbide coated jigsaw blade and a jigsaw to cutout the exhaust hole. Insert the blade into one of the holes and cut along the line until you reach the next hole. Do this for all four holes. 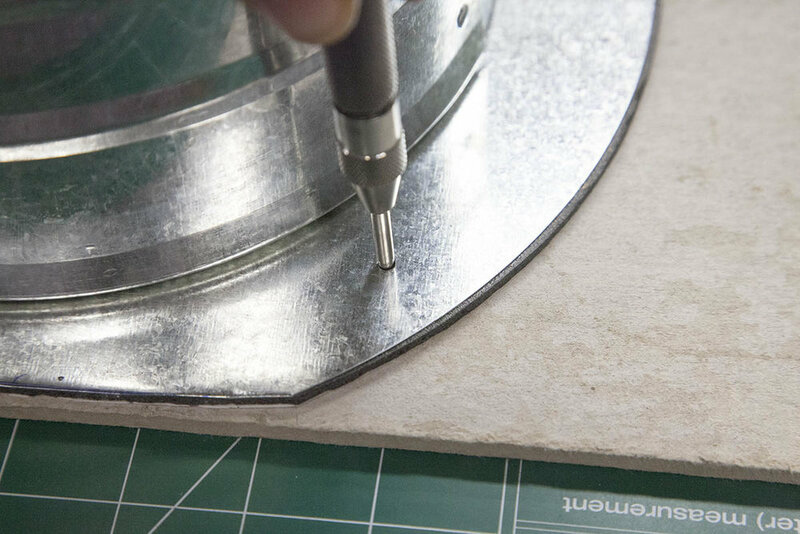 Use a standard 1/4” drill bit and enlarge each of the four mounting holes. 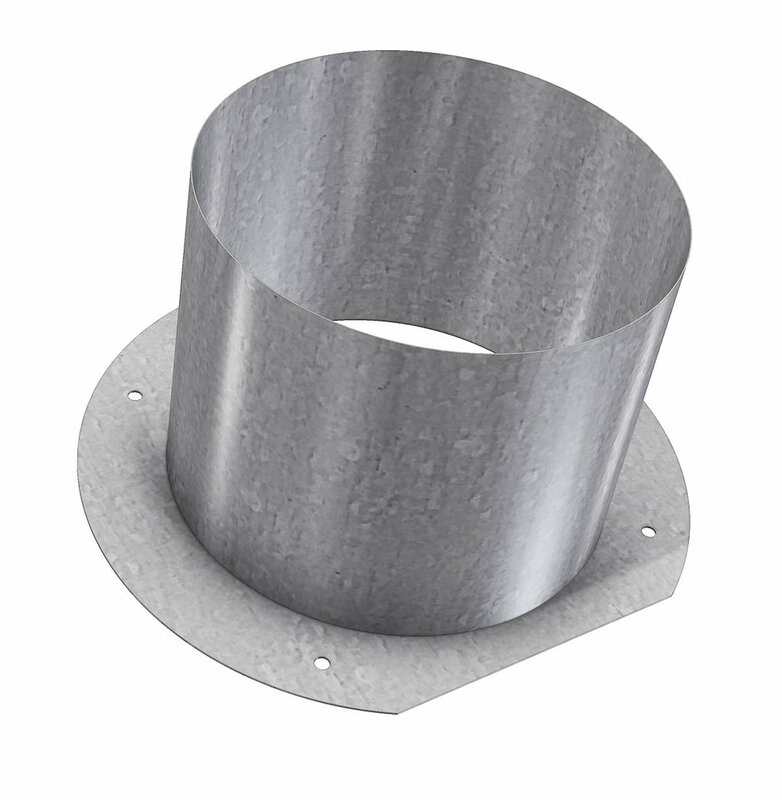 Place a 1/4” plain washer on 4, 1/4-20 x 3/4” hex bolts. Place those bolts in the holes from the under side as shown here. First slip the collar over the bolts to test the fit. Then, peel the backing from the pad on the collar and slip it over the bolts and press into place. 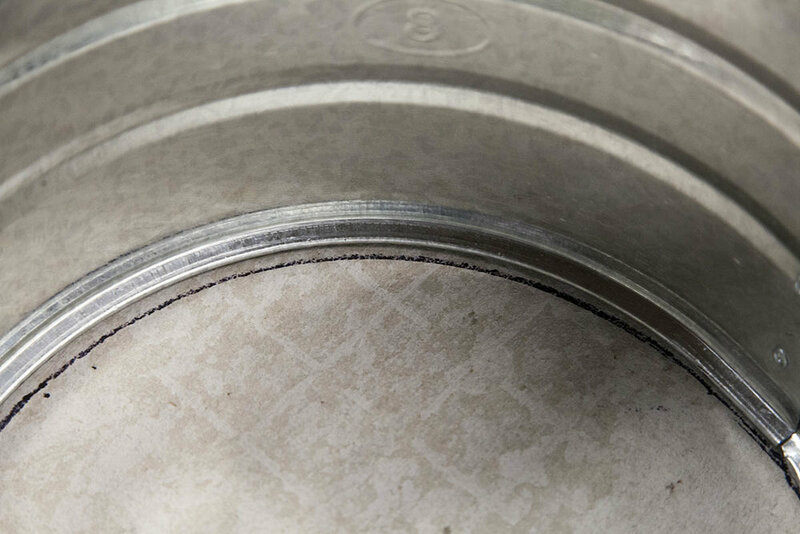 Secure with a 1/4” plain washer, 1/4” lock washer, and 1/4-20 hex nut as shown. Reinstall the rear panel as outlined in the Volume 5 book. Reinstall the center support as outlined in Volume 5. I recommend installing a damper to keep the outside air from getting into your shop when the plasma cutter is not in use. The damper is installed drilling two 1/4” holes on each side of the collar about 3” from the edge. The damper is secured with 1/4-20 hex nuts. I did a 3D model of the CNCCS downdraft. Since I plan on several optional upgrades, I though they would be better to convey if I had some stand alone illustrations. This is the downdraft configuration after completion of the CNCCS Volume 5. There is now one way to install an exhaust collar. 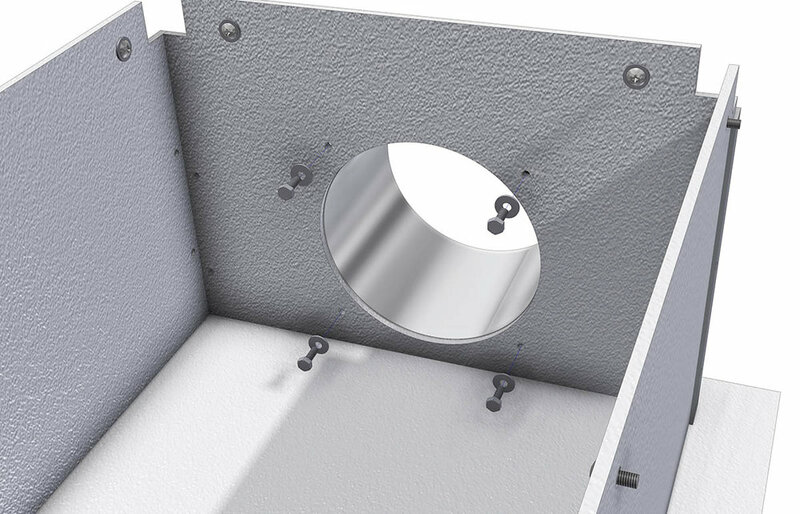 For example, if the only way you can vent your downdraft to the outside is very low on the wall, you might want to install the collar on the bottom of the downdraft enclosure and add an elbow for your exhaust. 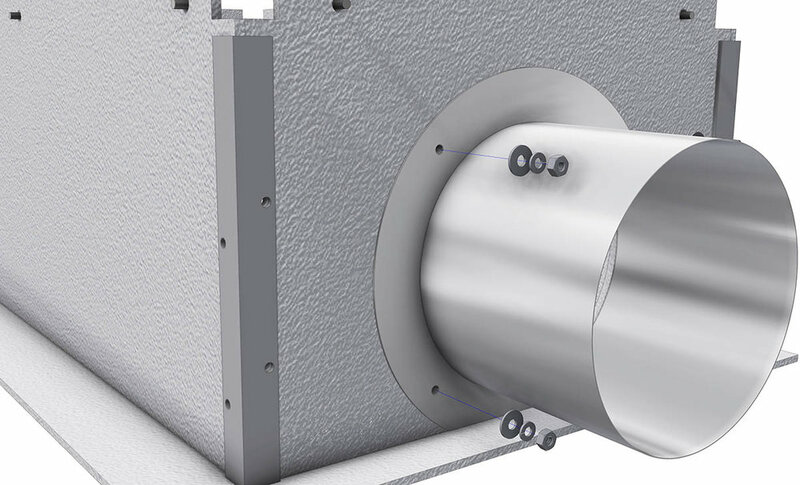 In some later articles, I will show you a couple exhaust vents I have installed in my shop. These are the multiConstruction drill bits I used. This is the Jigsaw blade I used.